I’ll forego the Sonic franchise history lesson that typically kicks off a Sonic review. 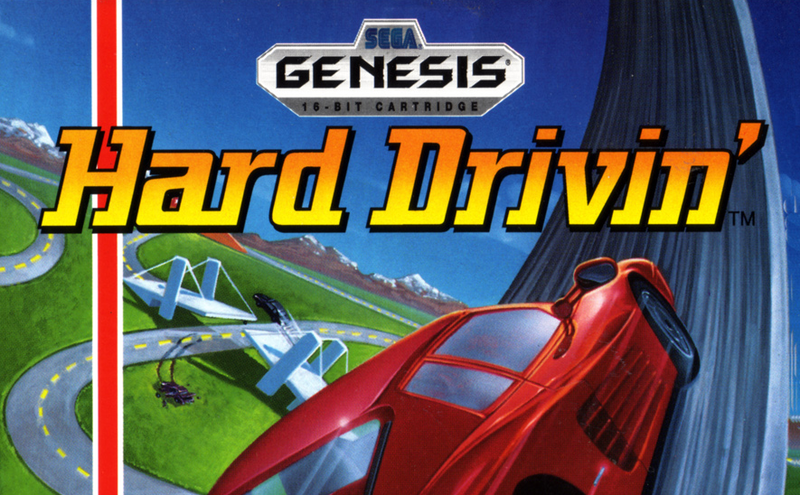 As SEGA fans, we know where the franchise has been. Sonic Lost World, a Wii U exclusive title, answers the question: where is the Sonic franchise headed? 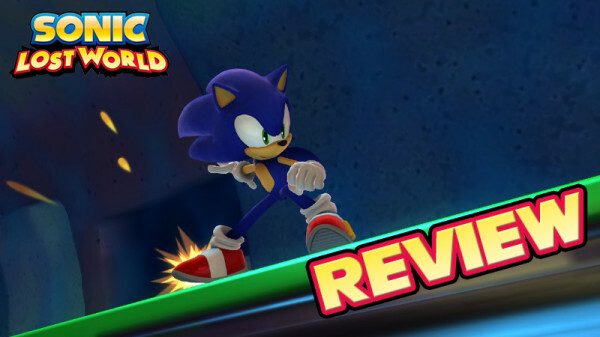 Unlike the series spanning celebration that was Sonic Generations, Sonic Lost World introduces several new gameplay elements and shakes up the familiar 2008-2011 Sonic formula. Some may take this as a breath of fresh air, as the series has finally moved away from boost mechanics. Others, content with the direction the series was headed and the refinements Sonic Generations made to the formula, may find Sonic Lost World to be too much of a reinvention. Did Sonic Team’s shake-up pay off? Read on as we enter Sonic Lost World! Despite this simplification, the game is beautiful to look at. Textures have subtle patterns and occasional glossy finishes, enemies have glitter paint jobs with a metallic sheen. What results is a world that is easy to take in as you run through the stages, but retains a level of detail that one can enjoy at slow speeds. Items and enemies are easy to spot, and Sonic himself rarely gets lost in the world (pun intended). Sonic games really should be experienced at 60 frames per second, and thank goodness Sonic Lost World runs at this frame rate throughout. The last Sonic game I recall playing that matched this speed was Sonic Adventure 2 on the Dreamcast, and having relived such speeds in Sonic Lost World I can’t believe I defended 30 fps Sonic games in the past. There is just something about the frame rate that heightens Sonic’s speed and gives a stronger sense of reality to his surreal world. Music is, as expected in a Sonic game, fantastic. Extremely catchy tunes permeate the game, and several genres are on display. The game’s music director, Tomoya Ohtani, has an impressive history with SEGA, working on such games as Space Channel 5 Part 2, Sonic Adventure 2, Sonic Unleashed and NiGHTS: Journey of Dreams. The result is a collection of tunes that not only evoke music found in past Sonic titles, but also tunes that very well could be from the Space Channel 5 universe. Notable tracks include Desert Ruins Zone 2, Tropical Coast Zone 3, and the sub-boss music. How important or unimportant the story is depends on what sort of Sonic fan you are. Sonic Lost World‘s story, when compared to the Sonic Adventure titles or Sonic the Hedgehog (2006), in incredibly light. Sonic and Tails, in pursuit of Eggman, end up discovering the Lost Hex, a floating unfinished planet made up of hexagonal tiles. Like Sonic the Hedgehog 3‘s Angel Island, little explanation is given as to where the Lost Hex came from. All we’re told is that it is a lost continent, and six ancient individuals known as The Deadly Six claim it as their domain. Also like Sonic the Hedgehog 3, Eggman temporarily teams with the rulers of this floating structure, only to be betrayed. Unlike Sonic the Hedgehog 3, it is Eggman who ends up teaming with Sonic. 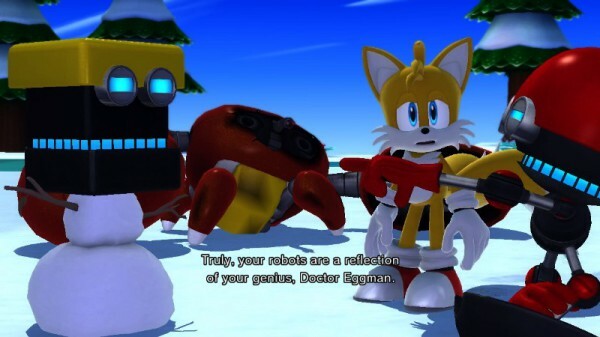 From there, Sonic, Tails and Eggman (plus his two robot cronies) take on The Deadly Six who have taken control of Eggman’s robots and his power extracting device aimed at Sonic’s world. Despite the story being simple, the new short-lived dynamic allows for some entertaining cutscenes in which the heroes and villains are forced to get along. Some have compared Sonic Lost World‘s story to an episode of the Adventures of Sonic the Hedgehog cartoon, and while that could be taken as an insult, as a fan of the cartoon series I see it as a compliment. The Deadly Six are decent characters, fulfilling the boss role for the first six worlds. Given each member of the team are one note when it comes to personality, they don’t offer much more than what you’d expect from a tough guy, a lunatic, a diva, a grumpy old martial arts instructor, a hungry fat guy, and an emo. 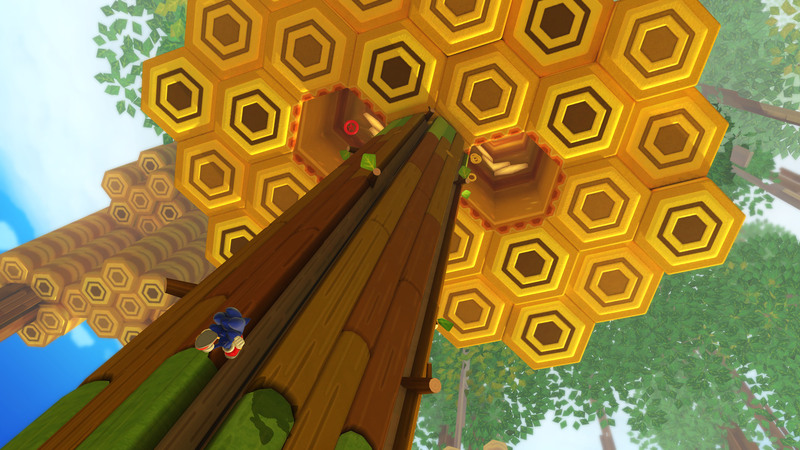 As mentioned above, Sonic Team have greatly changed the way in which Sonic is controlled in Sonic Lost World. Gone are the boost mechanics, aerial tricks, side steps, and drifts. Now, Sonic has three speeds, a slow paced walk or jog, depending on how much you move the analog stick. Pressing the ZR trigger speeds Sonic up to a run, featuring Sonic CD‘s iconic super 8 animation. Pressing the ZL button puts Sonic into a much faster spin dash. None of the three speeds match the speeds found in Sonic Generations modern sections, which may turn off fans, but I really enjoyed controlling Sonic at slower speeds. For the first time since the Sonic Adventure titles, Sonic isn’t zipping all over the screen when trying to navigate stages at a slower pace. The speed shoes are actually a power up you want to obtain again. A fear, when learning of Sonic’s running being controlled by triggers, was that my fingers would be suffering. Thankfully, the Wii U Gamepad’s triggers have very little give and are very easy to press and depress. The much touted parkour system allows Sonic to run up walls when in a faster run, and while the system functions and is a lot of fun to experiment with, stages themselves do not take advantage of parkour as much as I wish they would have. The game would have greatly benefitted from a training stage in which players are given different obstacles to overcome with the new system, and clear instructions for how to pull the moves off. 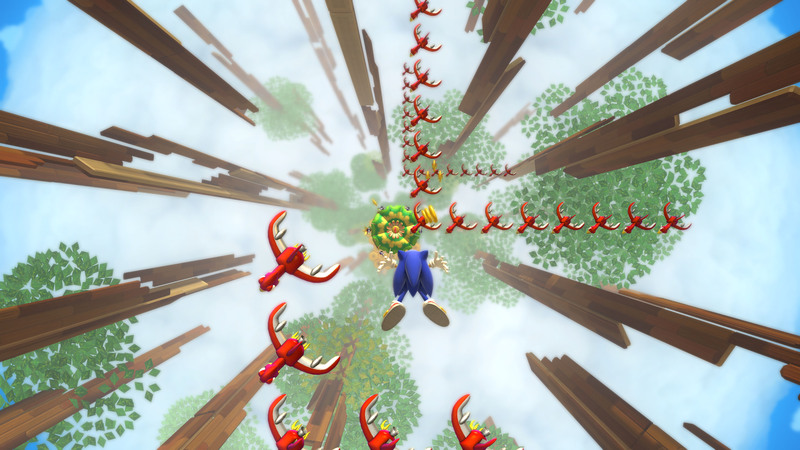 instead, players are thrown into this new world with new moves that they will have to figure out for themselves, and given many players are used to the 2008-2011 mechanics, they likely won’t even use the new moves until late in the game when stages are deemed more difficult because the use of parkour is mandatory to progress. Other new moves include charged homing attacks, which inflict more damage the longer you are locked on, and multiple homing attacks which causes Sonic to bop along a chain of enemies while the homing attack button is held down. 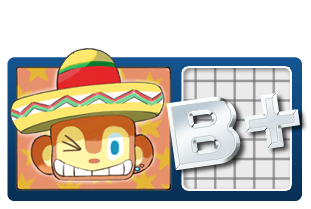 The ball bounce attack, last seen in Sonic Adventure 2, replaces the ground stomp attack. Also, any enemy defeated releases animal friends which are added to a grand total of animal friends who have been rescued. The more animal friends rescued, the more stages unlock. Those fearing a return of the sun/moon metal fiasco of Sonic Unleashed can rest easy, as the required numbers are easy to reach. As long as you’re defeating enemies and are not simply running past them, you should be unlocking stages at a steady rate. In fact, it is this element to the game that I really enjoyed, as it gives players a reason to rescue Sonic’s animal friends, which really has been Sonic’s motivation since the very beginning of the series. 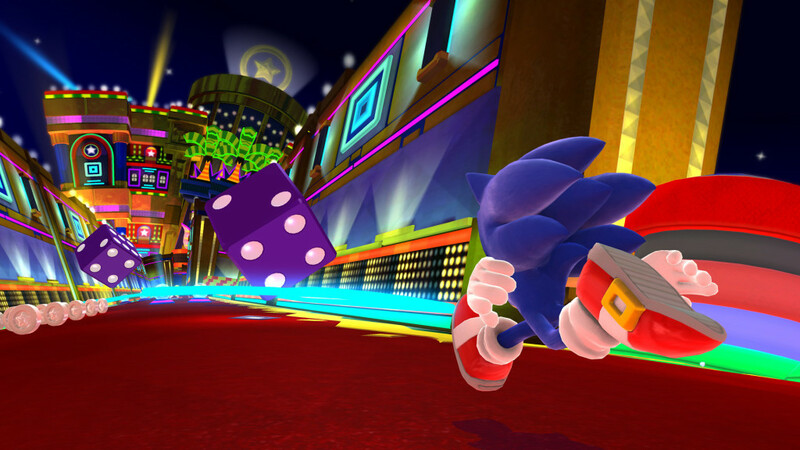 Since Sonic Adventure, Sonic Team has always seen a need for additional gameplay modes outside of the Sonic stages. This is Sonic Team’s method of padding out what would otherwise be a short game thanks to Sonic’s speedy stages. How well this mix of Sonic gameplay and other content is executed depends on the Sonic game. Things were arguably at their worst with Sonic Unleashed, where players were given only short bursts of Sonic stages and were required to slog through beat-em-up Werehog stages. Sonic Generations was this mix as its best, as when you weren’t playing as Sonic in 3D stages with moments of 2D sections, you were playing a current gen approximation of Sonic’s classic gameplay. Sonic Generations was nowhere near as long as Sonic Unleashed, but it was an enjoyable title from start to finish. If Sonic Lost World could be compared to another Sonic title when it comes to this mix of content, I’d say it best compares to Sonic Colors. In Sonic Colors, the additional content was in the form of the Wisp power-ups and many shorter puzzle centric stages which focused on Wisp use and platforming. 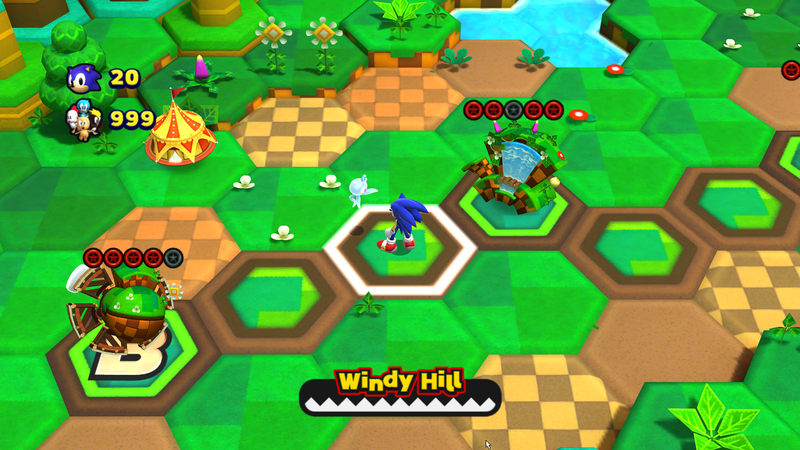 In Sonic Lost World, the Wisps are back with new and returning power-ups. Unlike Sonic Colors, the Wisps play no part in the story and for the most part are not integral to the stages. The only time I saw myself having to use a Wisp to complete a stage was the rocket Wisp in Tropical Coast. 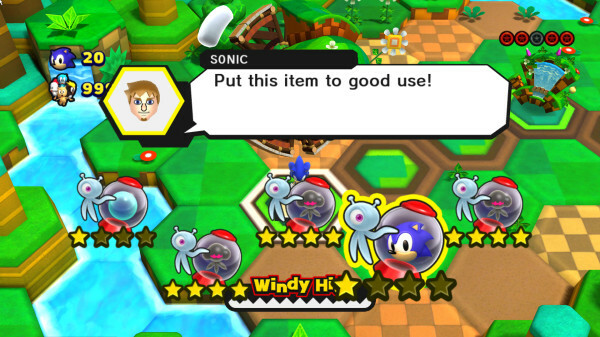 It’s nice that the Wisps are not as heavily used here as they were in Sonic Colors, but their “use ’em or don’t use ’em” inclusion makes them feel a bit shoehorned in, and it doesn’t help that many of the Wisps are difficult to control due to each one relying on the Gamepad’s touch screen and gyro controls. Sonic progresses through the game similar to Sonic Generations, moving along a linear world map which features each stage in order, and offers up some bonus modes off to the sides of the main game. Sonic Colors featured as many as six acts per world, whereas here each world is comprised of four zones. Don’t expect an even split between 2D and 3D galeplay as seen in Sonic Generations. Sonic Lost World features fully 3D worlds on spherical and tube shaped structures not unlike Super Mario Galaxy (or Sonic Adventure 2‘s Mad Space stage, which predates Super Mario Galaxy), as well as 2D segments and speed sections in which Sonic is running or sliding forwards or away from the camera. All of these elements could make up a single stage, or a single stage may focus on one of these elements. There are also stages that fall outside the norm, like Sky Road’s flying sections or Frozen Factory’s Billy Hatcher-esque stage in which you roll a giant snowball containing Sonic in the middle. Unfortunately, these are the least enjoyable stages of the game, and to be honest I don’t know why Sonic Team included them. 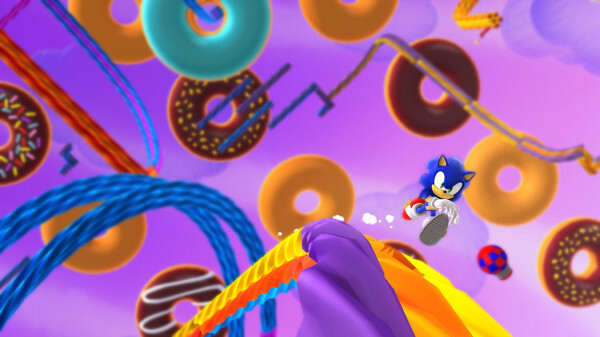 With a slower Sonic, and many new moves in place, surely the game would have been better off with obstacle course stages that take advantage of these moves. The game also features a few rail grinding stages, which are great fun, a real challenge, and are filler content done right. Upon completing the game, an additional Hidden World appears with four more stages which easily beat out the Sky Road and Frozen Factory stages I mentioned, as well as a Tornado flying stage which I really wish would have replaced the two Sonic-only flying stages. 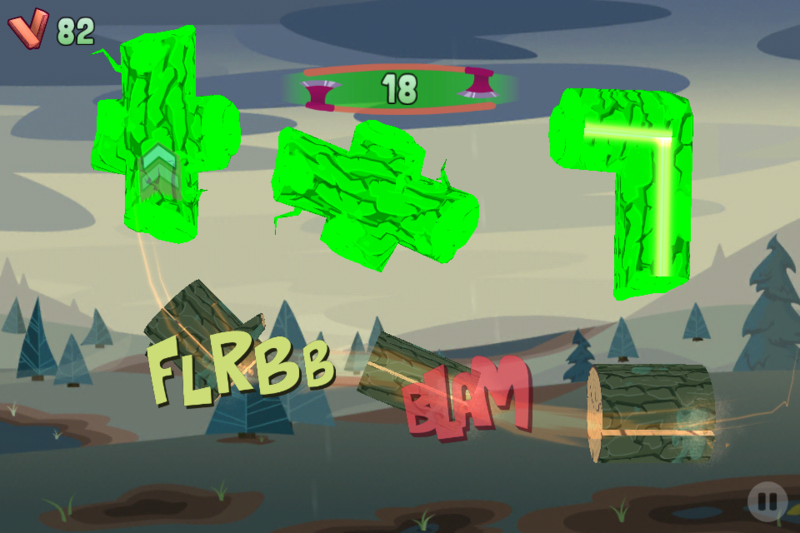 For the most part, bosses are enjoyable, with varied attacks and creative ideas. However, many will find them very easy to defeat thanks to a low number of required hits. The best part of the bosses aren’t so much the bosses themselves, but that they are integrated into stages much like the classic titles. The second zone of a world features a sub-boss at the end of the stage, and building up to the battle you’ll hear the Deadly Six member taunting you. The main boss typically features a full 2D stage, leading the the boss battle which is either in a 2D or 3D setting. The sub-boss and end boss for each world is the same Deadly Six member, but the way the battle plays out is completely different. Sonic Team could have presented each boss as another zone, creating the illusion of more content with six zones per world, but I’m glad they went the classic route making a boss something you work towards rather than a standalone, easy to access stage. The final battle with, and this shouldn’t be a surprise, Eggman is anti-climactic compared to past titles, but the boss itself is a fun challenge with some rocking music. It’s just a shame that the game doesn’t offer an additional Super Sonic boss battle. Still, there is the aforementioned eighth hidden world. The world map also features circus tents which are home to breakout style mini-games, and a few hidden zones which range from fun to forgettable filler. 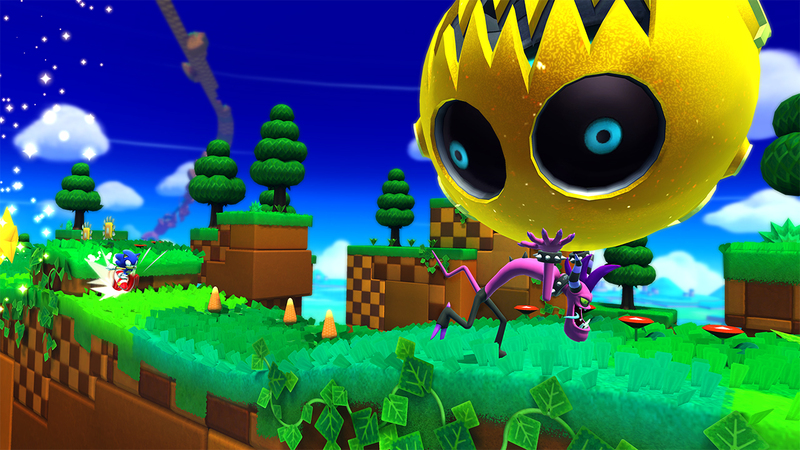 Given the Wii U exclusivity, Sonic Lost World takes full advantage of the Wii U’s features including Miiverse, 3DS connectivity, co-op modes, and competitive modes. Through Miiverse, players can share collected items which are stored in a suitcase for use during stages. Items range from shields and speed shoes, to a Miiverse exclusive wisp and items that give extra rings and allow the player to skip to the next checkpoint. The feature can be helpful, but it can also be annoying to jump into a game with the intention of playing a stage, and you first must manage your incoming items. Thankfully, this option can be turned off for those who don’t want to bother with additional items. Both the Wii U and 3DS have RC vehicles designed by Tails which serve as an assisting second player in the Wii U version of the game. 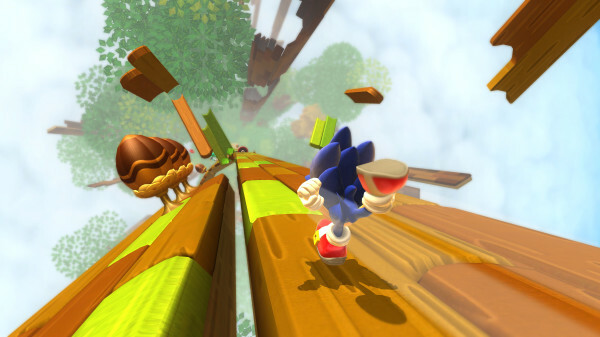 A second player, using a Wii U Pro Controller or Wii Classic Controller, may operate an RC vehicle that flies about the stage collecting rings and defeating enemies as player one plays through as Sonic. It’s a fun way to get a second player with little gaming experience involved, but is not something two seasoned gamers are likely to enjoy. Two player racing modes through the game’s allows one player to play off the TV screen, and the second player to play off the Gamepad. 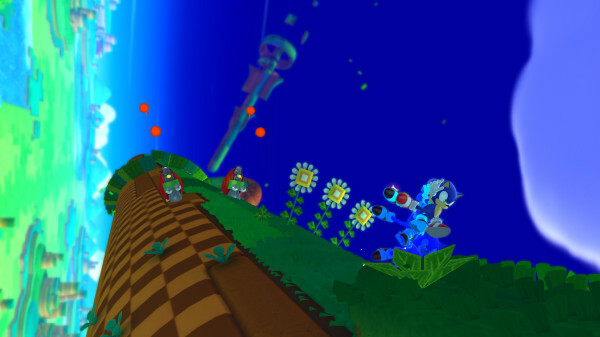 The mode can be a lot of fun, evoking Sonic the Hedgehog 2 and Sonic Adventure 2‘s competition modes, but it really would have been great if Sonic Team allowed players to select from Sonic’s stable of friends rather than the multi-colored robotic Sonic clones last seen in Sonic Colors. it could be said that Sonic Lost World is not as good a game as Sonic Generations, but I am very happy that Sonic Team chose to go the direction that they did with this game. The new tiered speed system allows players to navigate stages at an easier, and more enjoyable pace. The parkour system can be a lot of fun once mastered, though do not expect the game to teach you how to use it. It’s just unfortunate that Sonic Team still sees the need to include filler stages, especially after developing such a complex new control system. The Wisps are also an unnecessary addition, only there to take advantage of the Gamepad. Thankfully the filler stages are minimal, and the Wisps are largely optional. Very fair review and basically how I feel about the game. Your reaction to the title really relies heavily on how you felt about the boost trilogy. If you loved generations and thought it was the perfect style of gameplay for sonic (much like tssz’s ryan bloom) you’ll probably despise SLW. However if you’re like me and you’ve always yearned for slower, more deliberate gameplay similar to sonic 1, you’ll find plenty to love in SLW. A shame parkour wasn’t fully taken advantage of. By the time you’ve gotten it down you’ll be itching for more opportunities to use it. No kidding on the parkour! I boguht the 3DS version first, and played it for 4 days before getting my hands on the Wii U version. So I was all trained on the parkour moves. Running up walls, getting that extra boost, wall jumps, sidesteps. 3DS version isn’t great, but one thing it did well was the parkour. What was up with the yellow springs? They’re such an odd design choice. They’re hidden so you can’t plan for them. It’s just needlessly surprising and takes control away from you. They’re like mini automated sections that aren’t necessary. 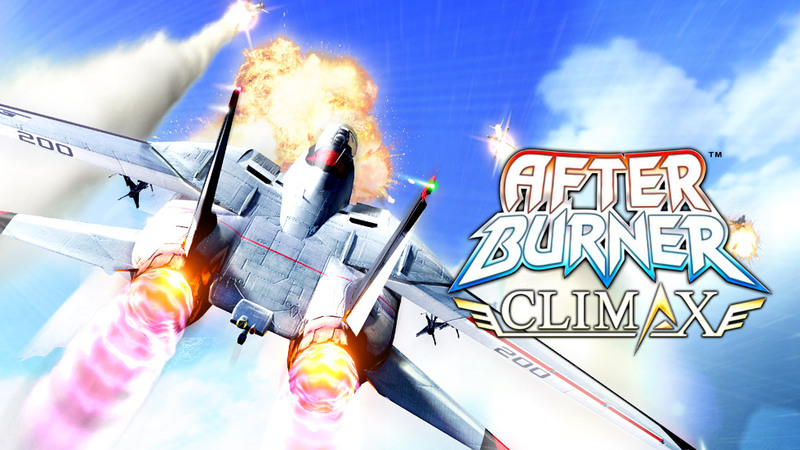 Take them away and let players figure out how to get to the top using the moves they have. 3DS version had several moments where you had to parkour up, do a little boost, wall jump a few times, and then jump. It was a fun little challenge, not unlike Sonic 1 which required running headstarts and rolls to overcome obstacles. Had the Wii U version’s parkour worked like the 3DS version, I’d have bumped the score up. Hopefully should the next Sonic game continue to refine the Lost World system, they take this into consideration. It’s ironic that Sonic Team could learn something from DIMPS this time. If some of the 3DS levels weren’t so horribly designed, it actually might have been the better game. Oh great review btw barry. Still haven’t finished it yet but I agree with most of your review. I really get that “sonic feel” from this game more than all previous games strangely. People might accuse this game from looking too much like mario but even though some of that may be true it’s still more sonic than anything before. After playing Lost World for a week, I booted up Sonic ’91 and agree. It does very much have that “Sonic feel”, even more so than Generations did in the 3D stages. Now, when you start a level, the first thing you do is not boost like hell, but instead run forward and begin to explore the stages. Alternate paths, enemies, and items are all taken in at a slower pace like the classics rather than blazed through like Unleashed, Colors, and Generations modern stages.